Being a chef is one of those careers which has people thinking you have it easy, like they could just dedicate a week or so to learning how to refine their cooking skills and that would be enough to operate as a chef. It’s nowhere near that easy and in fact there’s a reason why it takes years and years of experience for one to even be in with a chance to qualify as a head chef. The life of a head chef is a lot more taxing and challenging than you may probably think. The preparation required of a figure operating as a head chef is never complete, presenting one with a serious challenge each time they have to prepare for the upcoming day in the kitchen because it is indeed possible to dwell too much on specific aspects of your prep. That’s not even something you can afford to do because time is money in this business, but the preparation never ends if you’re a chef, let alone being a head chef. There is always but always something to do. 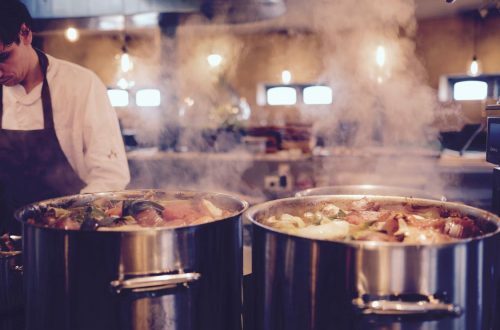 The professional environment a head chef would find themselves in typically has them having to manage a lot of different personalities in order to get the job of preparing food done and done well. It’s micro-management on a whole other level and has nothing really to do with the level of skill everybody around you has. It’s not about how good or bad the junior chefs and cooks are, but rather about having to constantly work at synchronizing everything as the day draws on and all manner of things change dynamically. Should someone not come into work, the responsibility to shuffle things around and find an extra pair of hands to fill the void from somewhere falls squarely on you. If you’re working for a restaurant for example, the guests waiting on their ordered meals know absolutely nothing about any of the behind-the-scenes challenges you constantly have to deal with. Now this is perhaps the most challenging part of being a head chef and there’s not a single day that goes by in the life of a head chef when this particular test doesn’t come up. You’re required to maintain professional grade consistency with the dishes you prepare, which means if a guest visits the restaurant today, tomorrow and a week from now, if they order a specific dish it has to taste the same each time. It’s very delicate work getting something to taste “professional” – to taste like it wasn’t whipped up by your mom in the kitchen, unless of course your mother is indeed a professional chef herself. As a result, creativity has to be on-tap. You simply cannot taste every single dish that’s prepared in your kitchen to make sure it’s consistent with every other dish of its kind, so there’s a lot of tweaking and playing around with elements such as the ingredients, cooking time, seasoning, etc to get it just right. I mean sometimes something like the tomatoes you have to work with came out a little differently to the ones you previously had and so you have to compensate for the difference in the taste of the final dish in a number of very creative ways, for example.